The Royal Kerckhaert Company is a cutting-edge horseshoe and nail manufacturer, delivering to the market innovative new products and relentless improvements of all their older models, to make the job of a farrier easier. 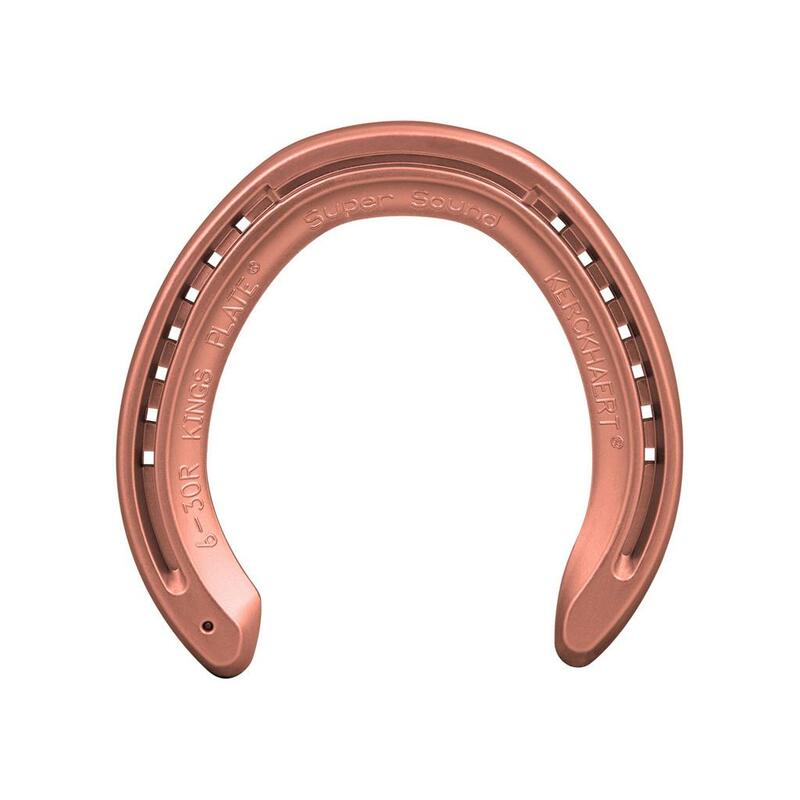 However, while our Liberty CU Copper coated nails are new to the market, the theory behind the benefit of using copper is based on well-established experience by horse owners in maintaining healthy hoofs. Copper normally in the form of blue stone or copper sulphate has been used widely in hoof packing material, thrush treatments and cushioning adhesives to improve the health of the hoof. The benefits in coating our nails with copper has been a worldwide positive improvement to hoof care! Farriers from across the world have reported through their own individual experiences, healthy, stronger hoof walls and relief of being liberated from the cancerous erosion of trust, that weakening the old non-copper coated horseshoe nail. While we have healthier hoofs by using copper nails, the hoof wall is under attack from the ground surface also. This is especially intense when using aluminium plates that react more readily with the stable environment of urine, water and extended periods of stabling.Raceplatesbeing aluminium, allow more movement of the hoof than steel, encouraging debris and bacteria to penetrate in to the white line and up the hoof wall and the hoof opens and closes. You can see this every day on your horses, with corrosion and muck on the hoof surface of any aluminium plate and this can contribute to damage to the hoof wall of already low heeled thoroughbred hoofs. Now you can stop the damage! Get complete protection with the new Kerckhaert Super Sound CU copper coated raceplate! 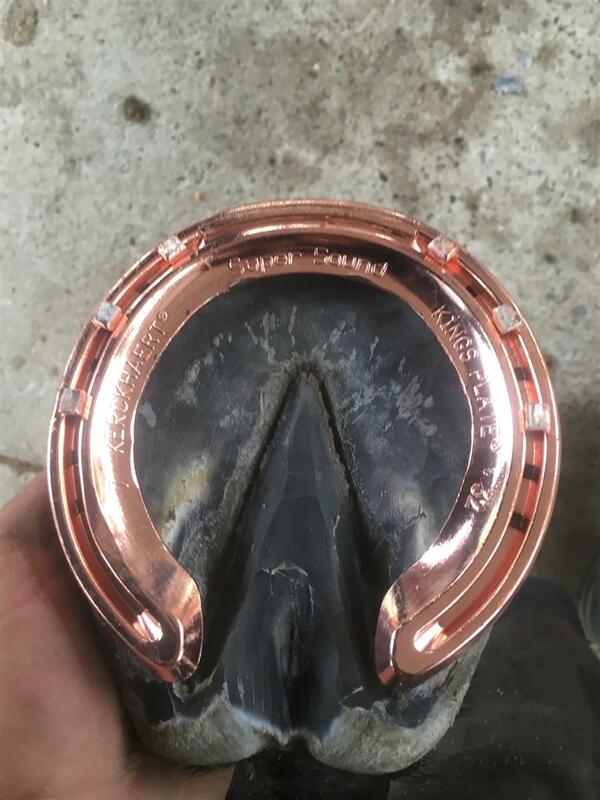 Our most advanced raceplate on the market, with wider cover and heel design and the only raceplate with pitch on the first nail holes, now comes with a high-quality copper coating. 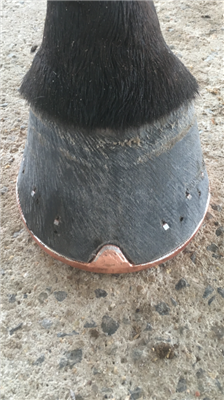 The copper coating helps protect the hoof wall, white line and sole the same way farriers have been using copper in hoof preparations for years, to make the hoofs healthier and stronger. 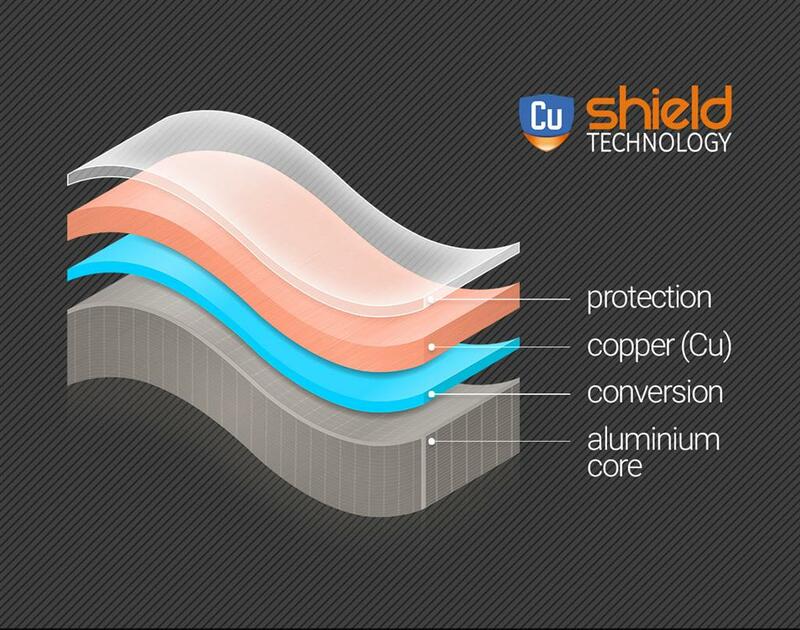 The copper coating does not affect the wear, weight or shaping of the Super Sound. 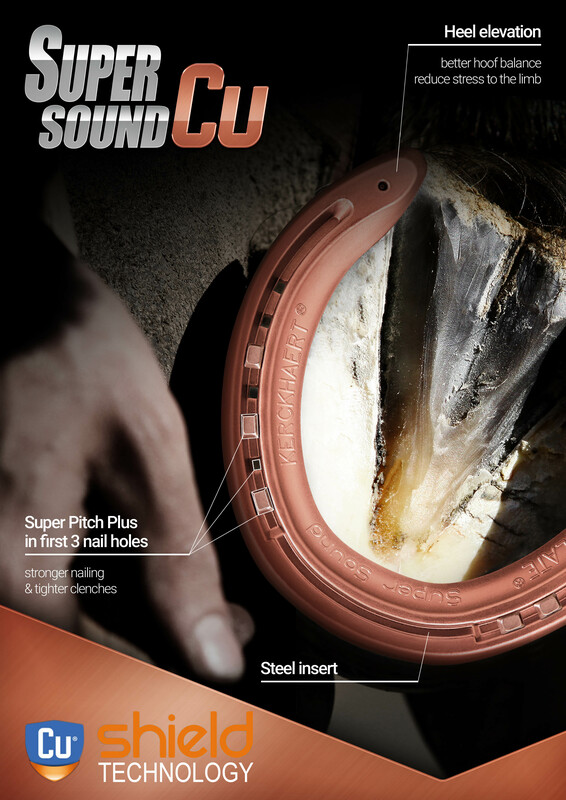 The new Super Sound CU are stunning to look at, yet don't let that distract you from the everyday, practical reason to use copper coated raceplates in your business to help protect and improve the hoof. We recommend to use the Liberty Carrera CU race nail with the Super Sound CU to get copper protection not just in the hoof wall but also from heel to heel, ground up.